Well, Happy Monday to you! I’m still trying to convince myself I’m happy it’s Monday. I wasn’t too happy at 5AM when the alarm went off, but I’m trying valiantly to embrace the day. The weekend was so nice and relaxing I hate to get back into the grind of the work week. We had a really, really nice Thanksgving. SuperMan was home for four days with us – no side jobs, no work – and it was heaven. The girls and I really enjoyed having him around. 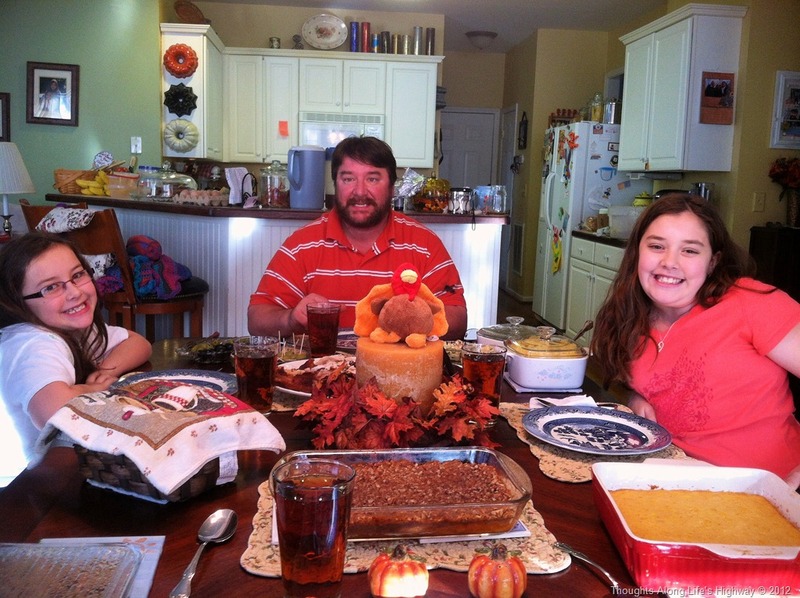 Thursday, we enjoyed our Thanksgiving dinner. 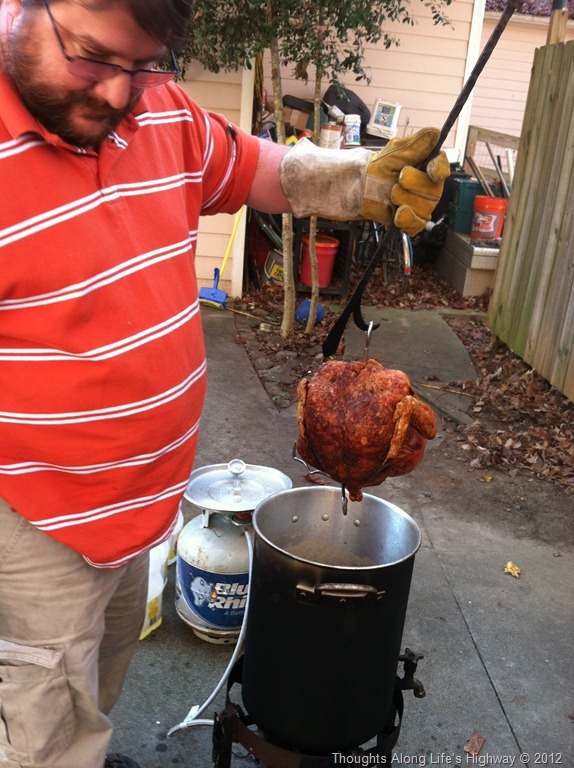 We couldn’t decide between a smoked turkey and a deep-fried turkey, so SuperMan decided to make both. 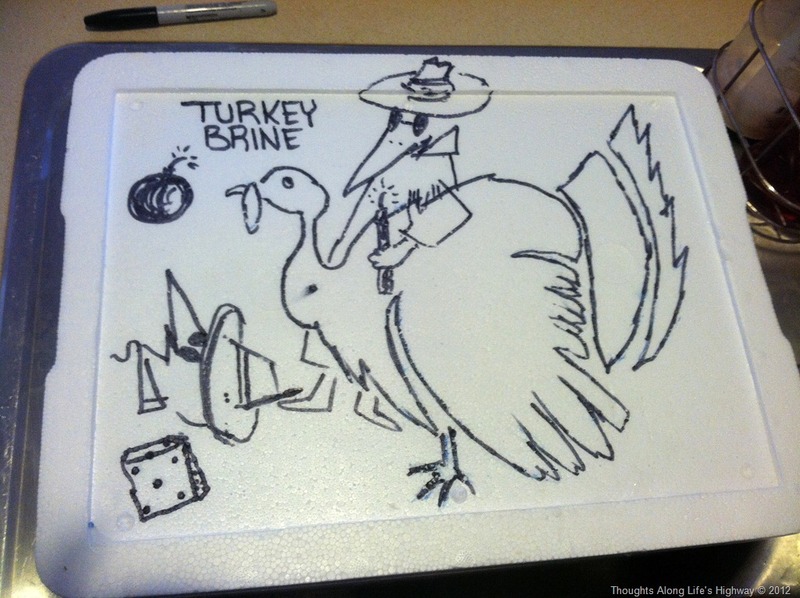 (Now, I’m overrun with turkey!) Little Bit enjoyed helping in the kitchen. 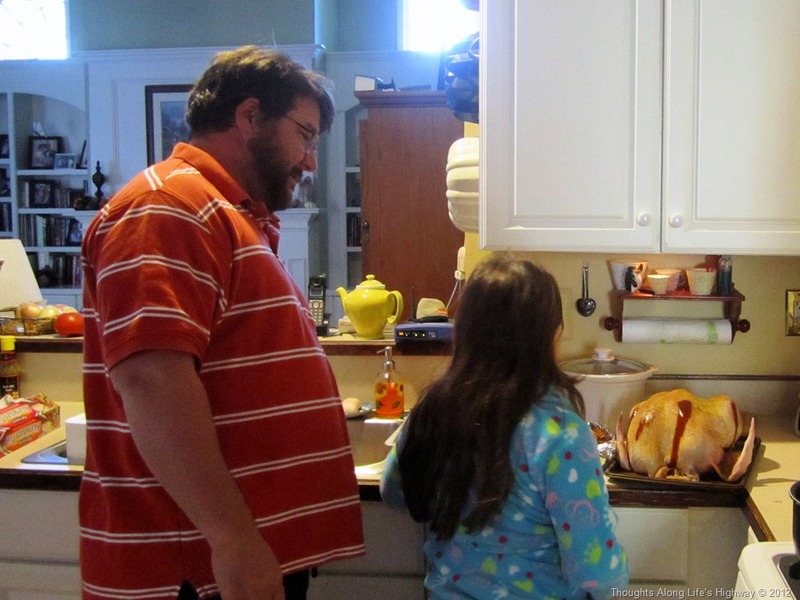 She helped her daddy with the turkeys and helped me on Wednesday with most of the prep work as well. And while I did most of my “work” in the kitchen on Wednesday, SuperMan did his on Thursday… it worked out well. We didn’t step on each other’s toes that way. 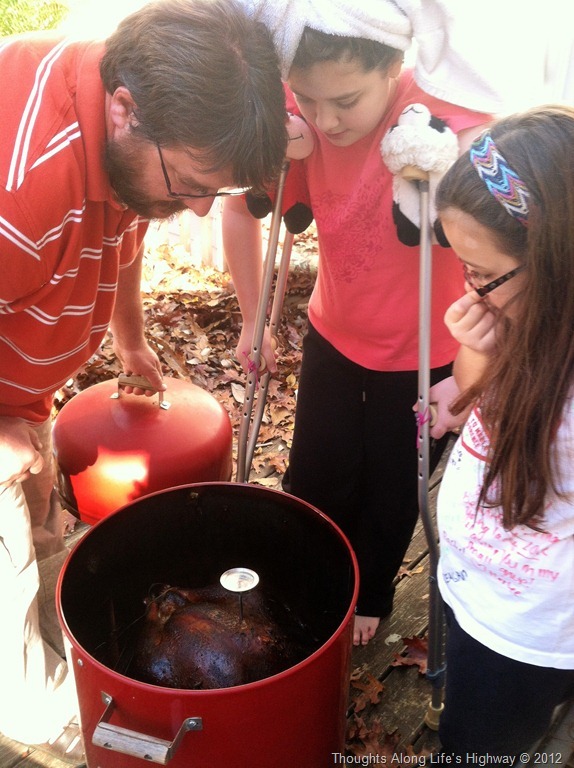 Here they are checking out the smoked turkey – is it done yet? 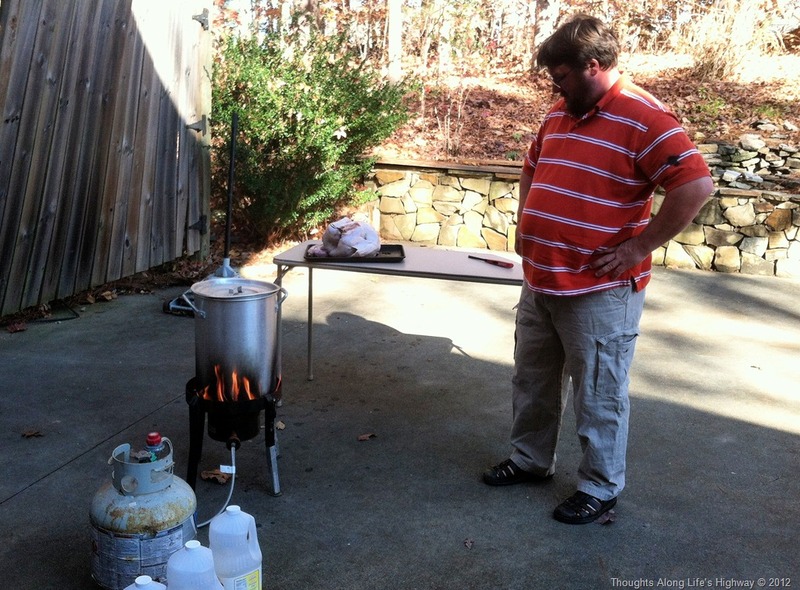 And frying the other turkey. 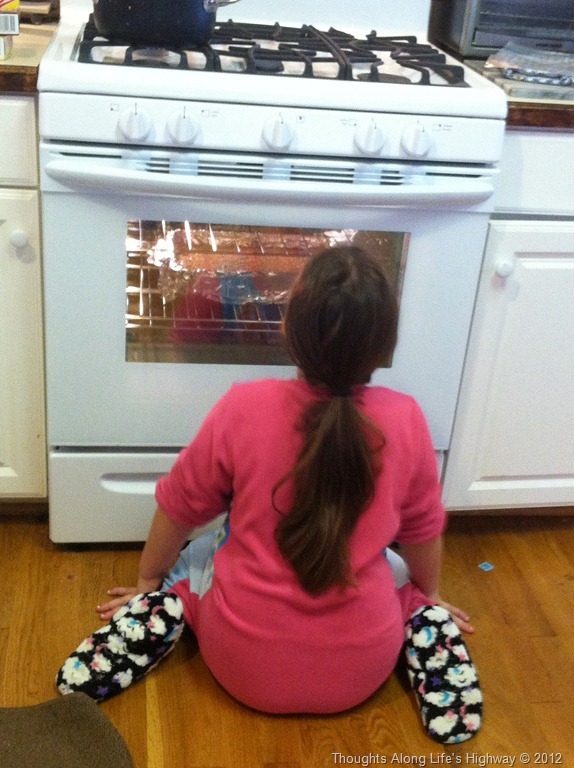 This always makes me so nervous, but the turkey tastes so good! After what seemed like forever frying, it was done! And then it was time to feast! And, now we’re faced with MONDAY staring us down, daring us to take on the challenges it brings… and all I want to do is crawl back into my warm flannel sheets! I do have lots of fun things planned for the blog this week, though – a few recipes for you and hopefully some more scrapbooking as well as a book review (or two?). So, I hope you will stop back by. 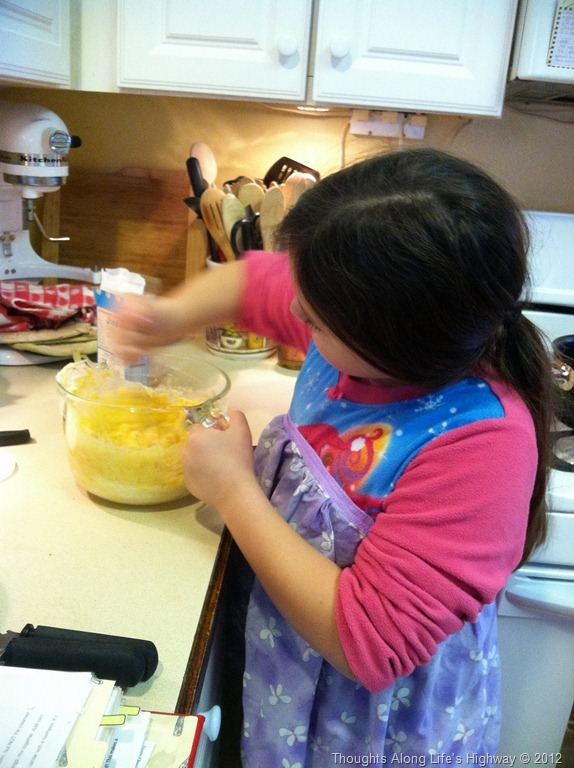 linking up with OrgJunkie for Menu Plan Monday. They were both really good!